At last year’s Pebble Beach Concours d’Elegance, Bentley unveiled a Mulsanne Convertible concept to the delight of most onlookers. With a 6.75-liter twin-turbocharged V8 under the hood from the Mulsanne sedan, the convertible would produce 505 horsepower and 725 pound-feet of torque. 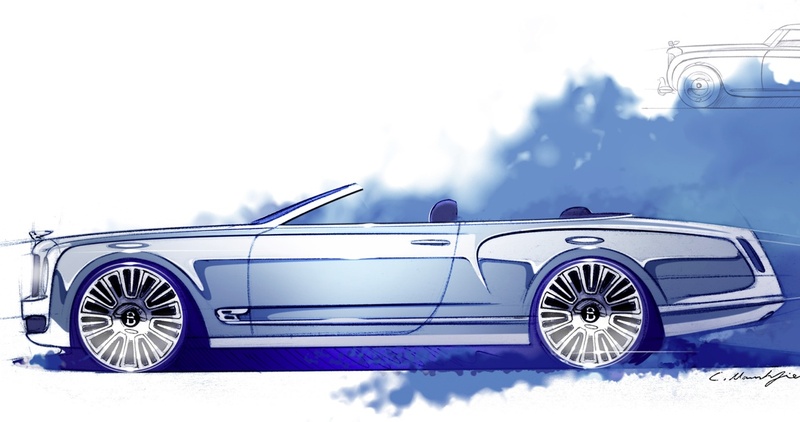 With dimensions similar to Bentley rival Rolls-Royce’s Phanton Drophead Coupe, it wouldn’t be much of a surprise if the Mulsanne Convertible went into production. We very much hope Bentley puts this long wheel base convertible into production, as it reminds us of the Cadillacs of the 1960s and early ‘70s. With slightly more subdued lines than the Rolls Phantom Drophead, we think the Mulsanne Convertible would sell well. Think of it like this: if you’re going to spend $300,000 on a luxury vehicle, it might as well have a folding roof to boot. New Pope, new technology, better Catholic Church?